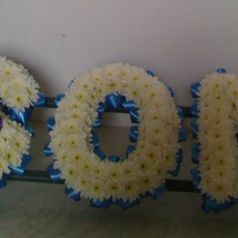 While we appreciate how difficult this time can be, we are very aware that funeral flowers are very important. We understand that they are a way of paying tribute to the memories for your family member or friend and a way of showing sympathy and respect. 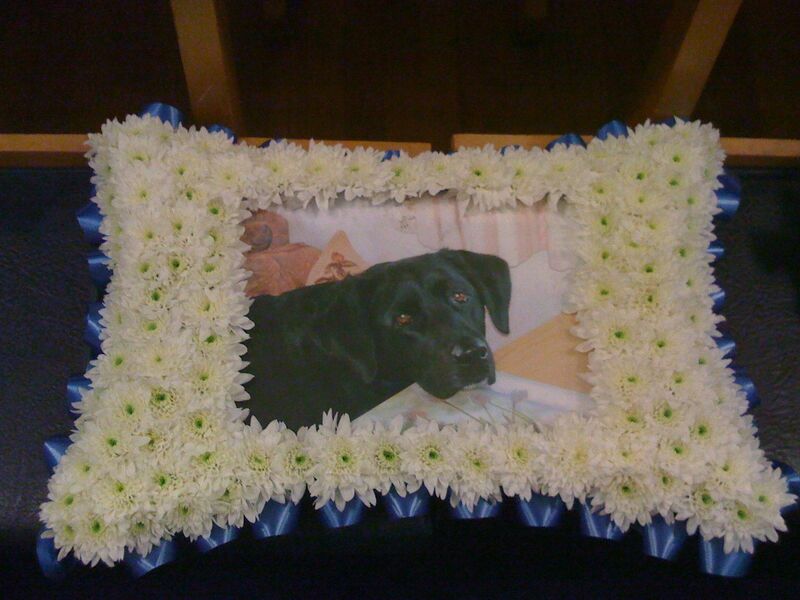 When it comes to sympathy and funeral tributes in Hamilton and the surrounding areas, you will be helped and guided with efficiency and sensitivity from the very first phone call. Your tribute will be made up with your own choice of beautiful flowers, and they will be handled with complete care and attention by the caring staff here at Mary Wilson Flowers. 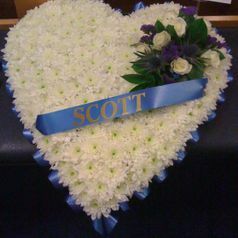 We can make special tributes designed by ourselves and influenced by you. 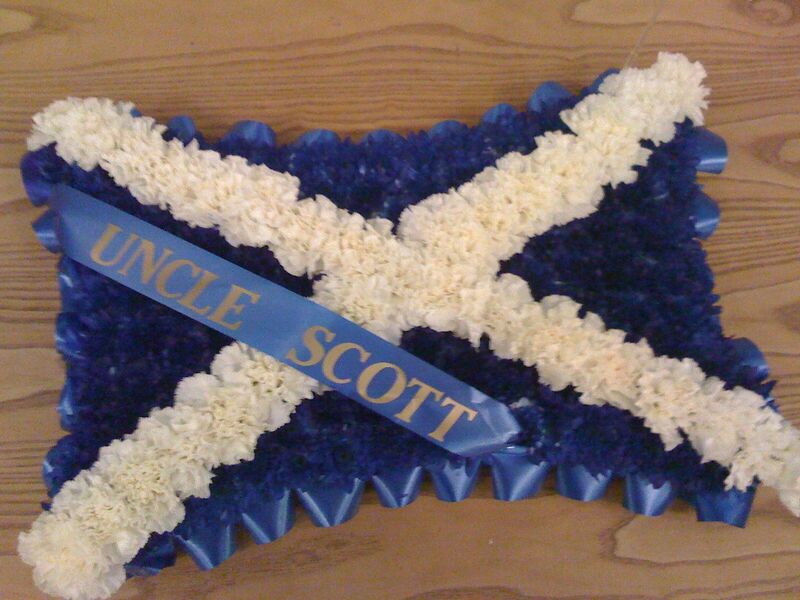 Our designs include wreaths, sprays, posies, casket sprays, and either single or double ended sprays. Everybody is different and our flowers reflect this. 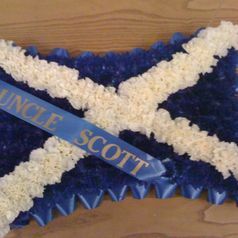 Unusual tributes can also be made and we are happy to provide you with help and advice on choosing something from a wide range of different styles and colours including soft, simple, meaningful, traditional, colourful and vibrant. 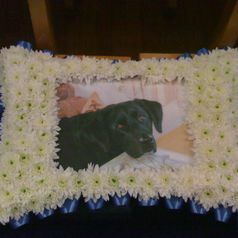 Flowers that are often used are delicate Roses, Freesias, Lisianthus and Orchids. We have also used in the past strong and bold Carnations, Lilies, Gerberas, Gladioli Asters and Blooms. All are surrounded with lush dark greenery, soft palms, Gypsophila or are ribbon edged. Common Shapes include hearts, crosses, cushions and pillows. 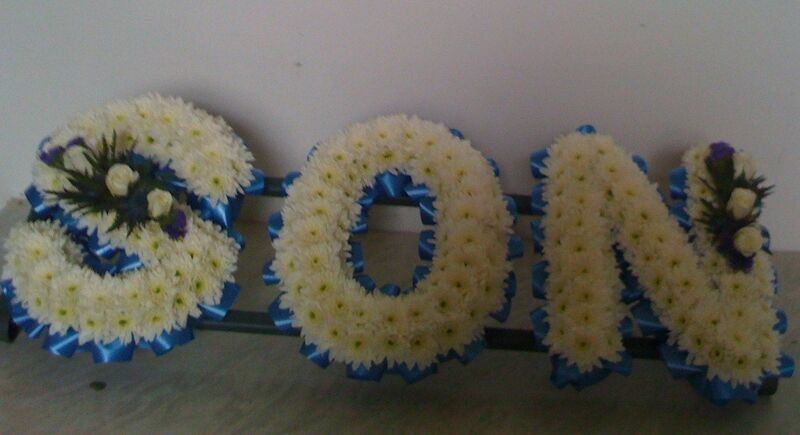 We can even make up flower shaped teddies, angels, and letters for example MUM, DAD, GRAN, PAPA or alternatively any name of your choice can be mounted onto a frame.